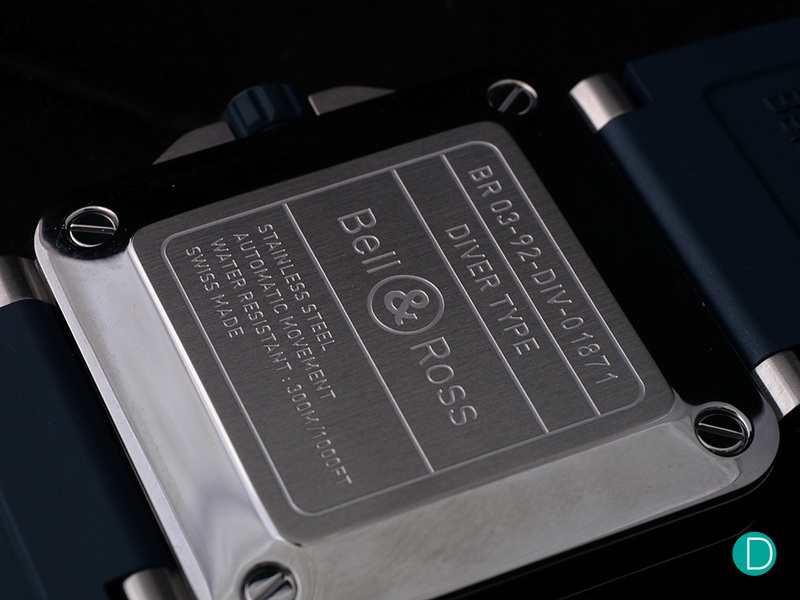 Bell & Ross watches is known for its military associations, in particular from the instrument panel of the pilot’s cockpit. The BR03 line is especially iconic to the brand, as the foundational design icon for its square shaped case, and legible dial display. Lesser mentioned is the brand’s early venture into a diver’s range in 1997 with the Hydromax, in 2002 the Diver 300 and the Pro-dial in 2007. This year, the brand revives the diver’s line with an addition to the BR03 collection; the BR03-92 Diver, in steel and bronze. 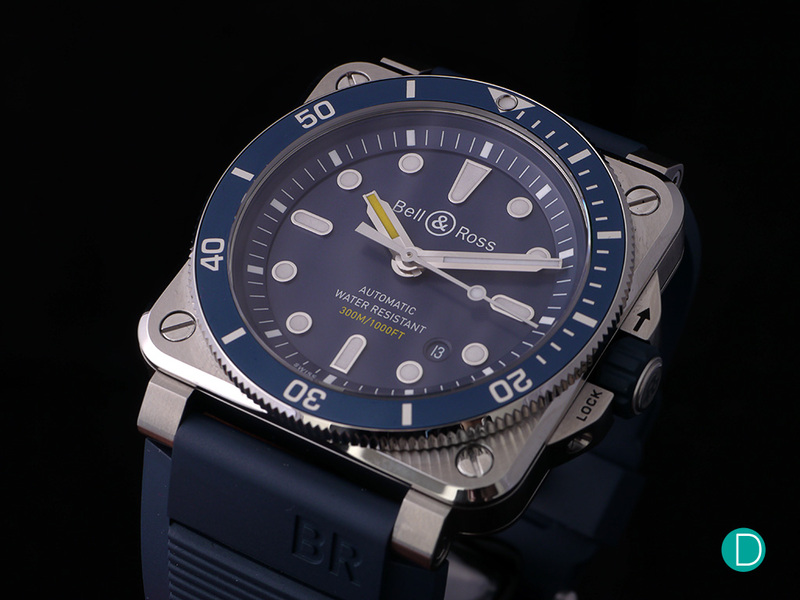 The Blue Diver BR03-92 in stainless steel. 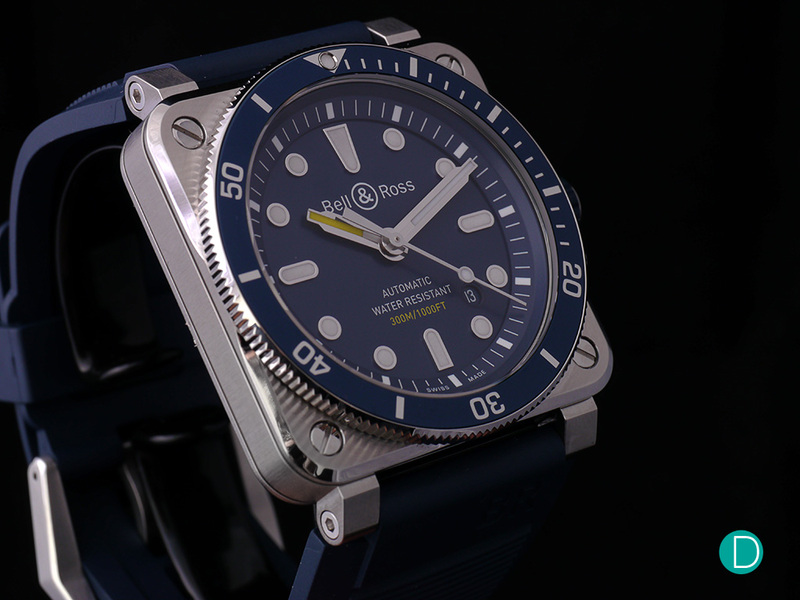 The divers retain the classic square shaped case iconic to Bell & Ross but with several modifications over the pilot’s range. It has functional features like a unidirectional diving bezel, a screw-down crown and a thicker water resistant case. 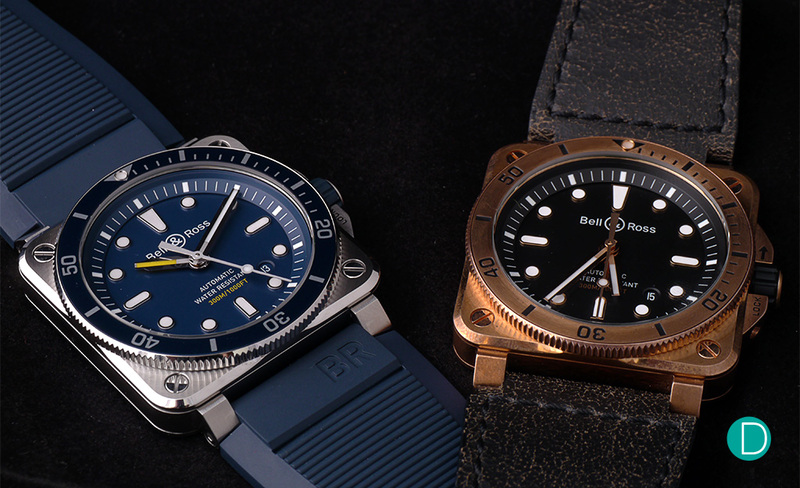 The BR03-92 Diver is available in two steel variants; in blue and black, and a bronze variant. (The black steel variant was released in 2017.) They measure 42 mm in diameter and is water resistant to 300m / 1000FT. 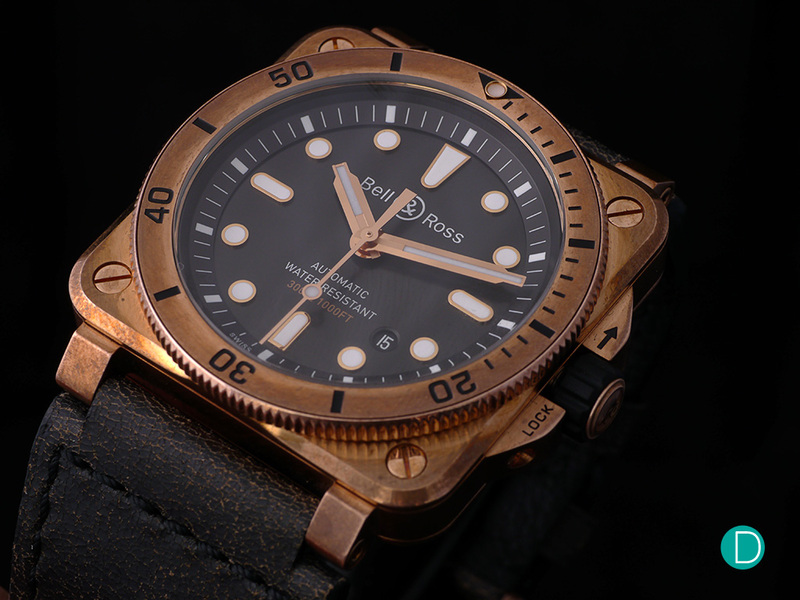 Also available in bronze, the BR03-92 Bronze Diver. The Diver’s case is nicely finished, with details like chamfered edges and cut-out grooves along the side case with inner polish. The lugs are also cut and angled for a comfortable strap fit. All edges along the case are nicely filed and smooth to the touch, without any sharp edges sometimes found on some cases. The case measures 42 mm and is fit with a unidirectional bezel and a screw-down crown. The watch is designed with the ISO 6425 standard which among features found in regular dive watches also include the requirement of anti-shock and anti-magnetic protection. Caseback of the steel model. 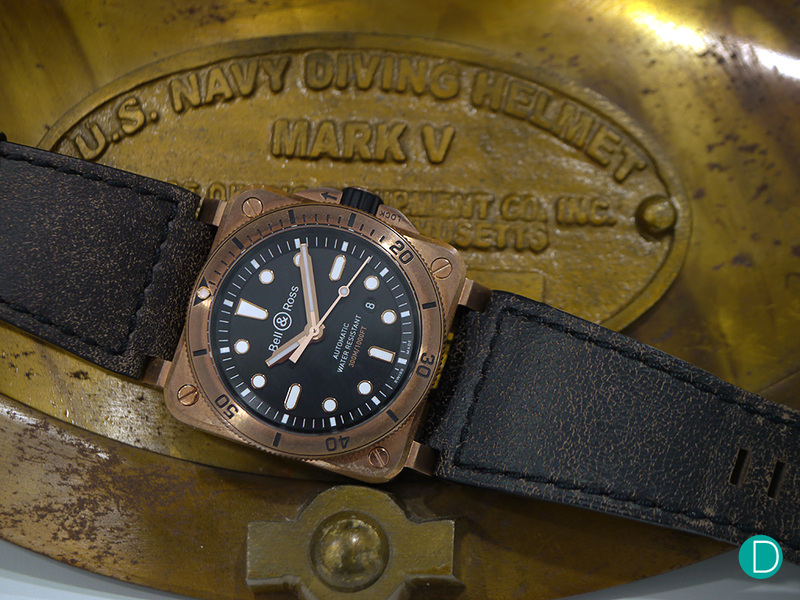 Caseback of the Bronze Diver with some decoration and a limited edition number. The caseback are different on the steel and bronze models. The steel model has a regular caseback, with model and specifications engraved. 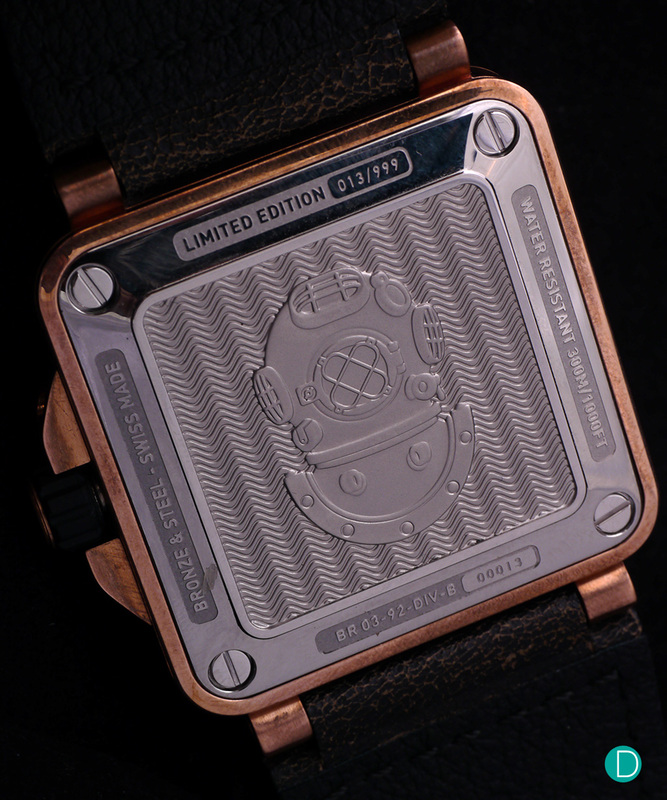 The caseback on the bronze model is decorated and bears the number of the 999 piece limited edition timepiece. The two BR03-92 diver models side by side. 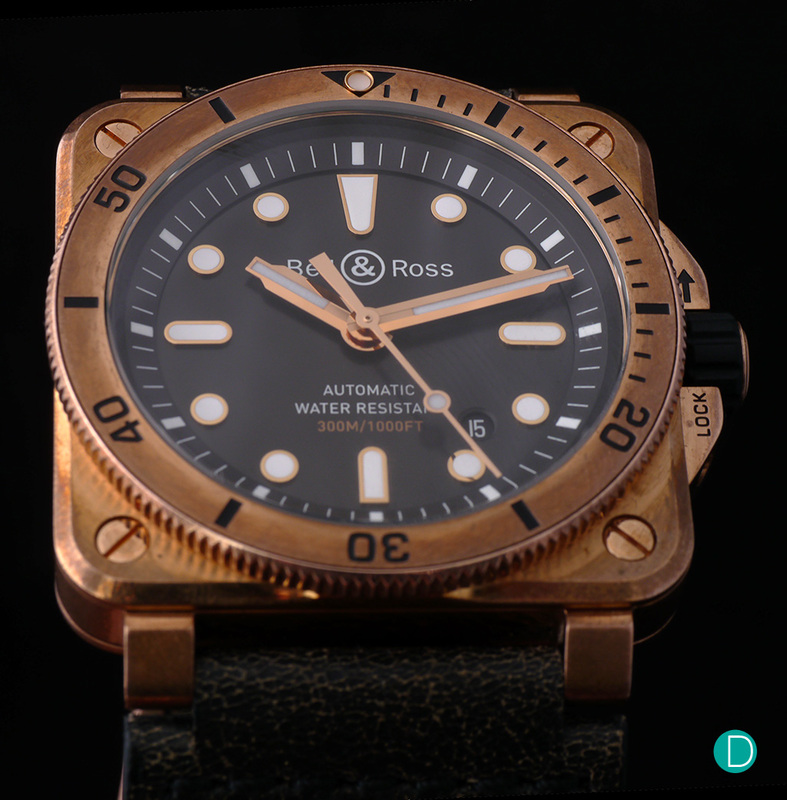 On the dial – it is easily read, with a typical diver’s watch layout. The hours indices and hands are applied and filled with Super-LumiNova® inserts. We especially like the hands, which resemble a hybrid plume, syringe design and benefits from having the lume portion going all the way to the edge of the dial, extending into the rehaut minute track. We are unsure if there is a significant functional improvement to legibility, but the use of a skeletonised hand filled with lume extending to the tip is quite unique. Patina forms on the bronze case over time from exposure to the elements. The divers are fit with the automatic calibre BR-CAL.302, a time-only movement with a date indicator. The movement is standard fare, with approximately 40 hours power reserve and beats at 28,000 vph. The watch on the wrist, making a slimmer than expected profile. 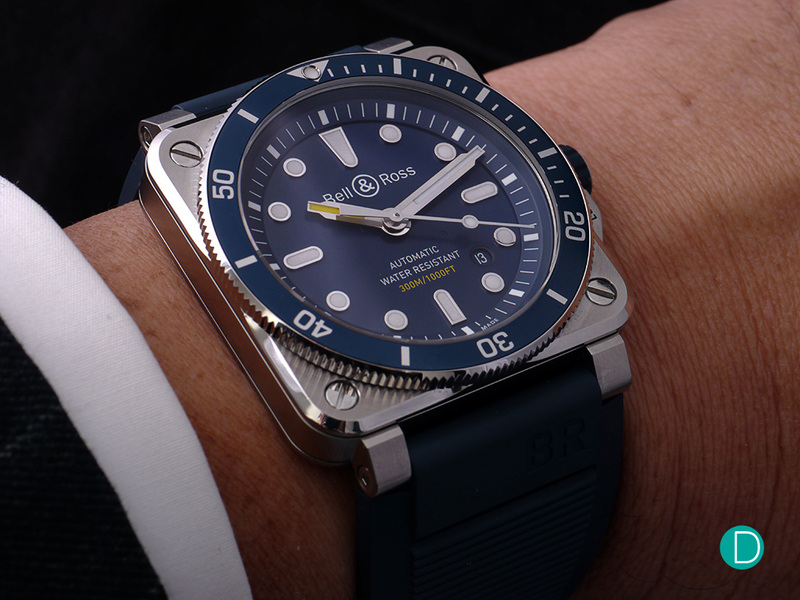 The BR03-92 divers are simple yet well-made tool watches. Between the steel and bronze models, we much prefer the bronze, given the character of the bronze case which will add a patina over time. The colour scheme of the bronze model is also more subdued and can entice the wearer with its vintage sports watch look. That said, appreciation for the square case design is highly subjective and will be a deal-breaker that separates lovers and haters of the BR03 line.